Our white-label social network platform can be customized and tailor fit to your business needs. If you are looking to create your own social environment, our customizable social network will enable you to develop a unique online social experience to engage your customers. With so many things competing for customers attention, businesses are finding it challenging to connect and communicate in a meaningful way. People naturally connect to one another through social platforms. 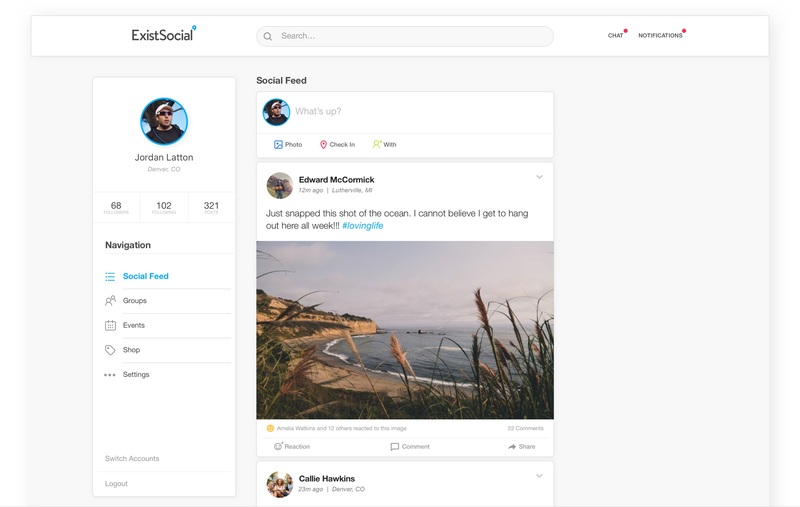 The ExistSocial social platform connects businesses to their customers while also creating a community between customers. ExistSocial connects customers to one another in a branded environment that continuously showcases the company’s image. We created a refined, yet flexible approach for creating custom social network environments for businesses. Going mobile means keeping customers constantly connected to a company through mobile app push notifications. 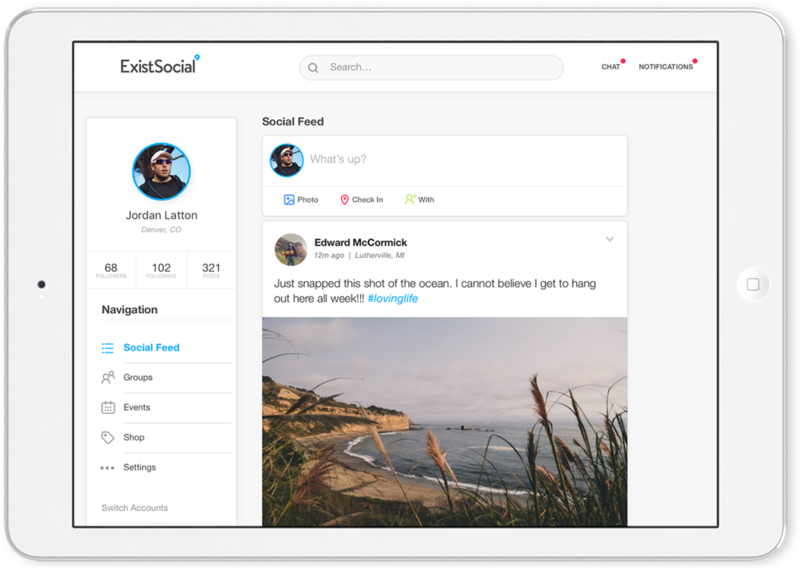 ExistSocial allows businesses to create their own social network using native code for both Android and iOS mobile platforms with access to native device components and unparalleled performance. Dynamic ecommerce features come built into our customizable social network. 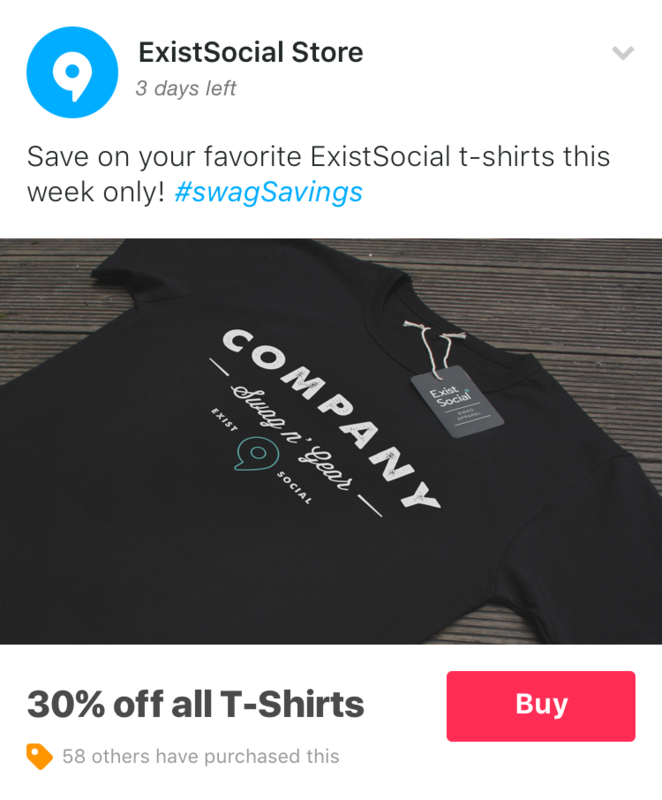 ExistSocial pushes ecommerce posts direct to users’ news feeds which can be purchased from within the platform drastically increasing conversions and sales. 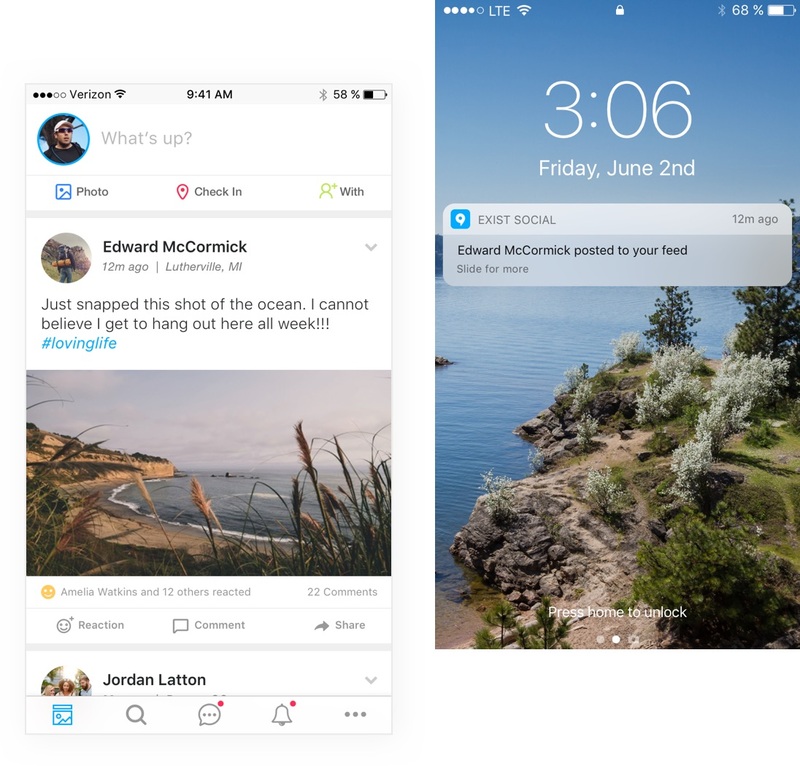 Push Notifications can also be sent to the user base for new product releases. Keeping your customer base engaged on a regular basis leads to increased growth and higher retention levels. Communicating in real time has become second nature thanks to Skype, Slack and SMS. We find it equally important to ensure you and your customers can communicate with one another anytime, anywhere, on any device. 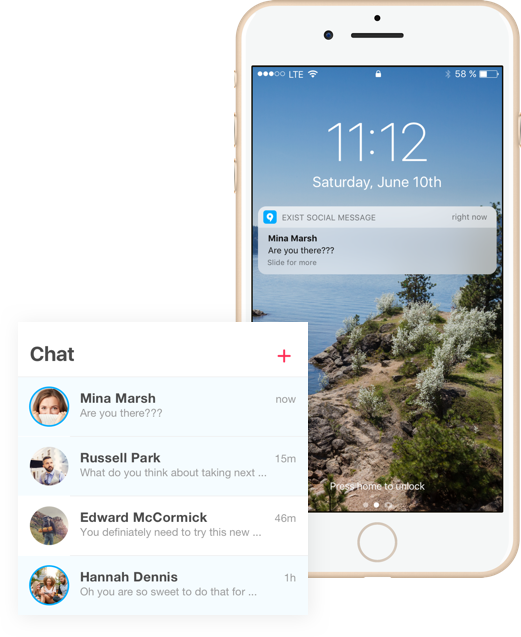 Our social networking technology uses native code for both Android and iOS with access to native device components and unparalleled performance. Ditch the clunky hybrid or mobile web experiences and impress your customers with robust Android and iOS app experiences. 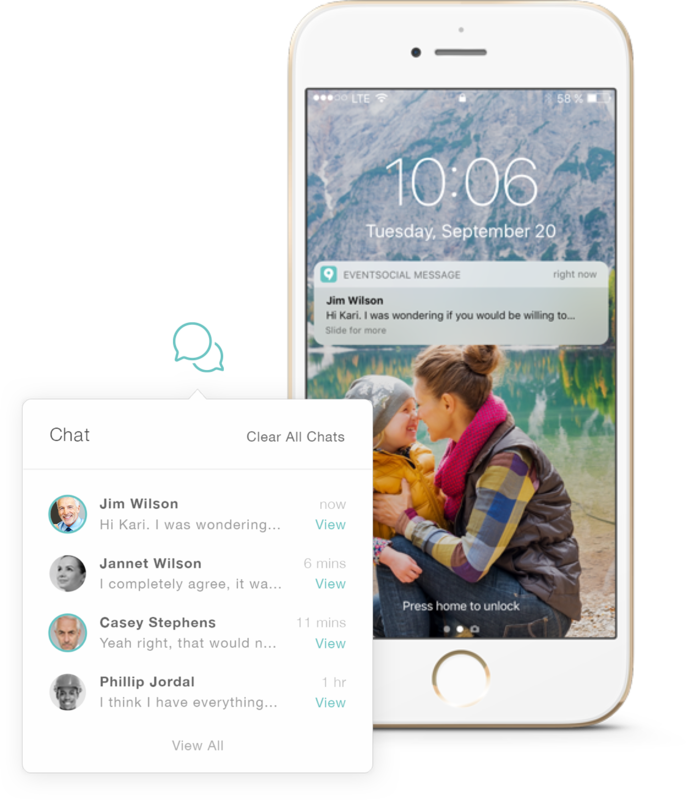 Say hello to cutting-edge social technology tailor-fit to your brand for pennies on the dollar. ExistSocial is a powerful brand statement that will impress your customers, boost your retention and increase brand loyalty. Create your own custom social network built on top of our unique combination of technologies. Let ExistSocial’s social network be the sound solution that connects you to your customer base within your own branded social ecosystem.